Thank you Logitech for sponsoring this post. 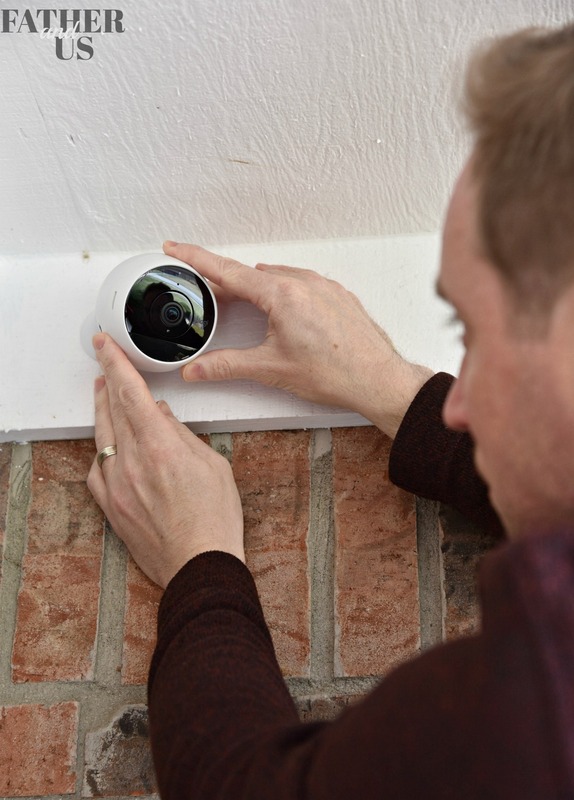 Get whole home security with the Circle 2 security camera! As a dad, I feel like I can always be taking my home security more seriously. This is why I was glad to have the chance to try out the Circle 2 Wire-Free Camera from Logitech. Read below to hear all about my experience with it. I love our neighborhood. We feel so lucky to be surrounded by fantastic neighbors. We really feel like we are raising our children in a safe environment. We feel so great about our surroundings that sometimes I feel like I’m getting a bit complacent. A couple years ago, I completely forgot to close our garage door one night. When I went to my car then next morning, I found that my driver’s door was left ajar and my glove compartment and center console were left open. Luckily, we don’t really keep anything of value in our vehicles so nothing was taken, but I felt very violated. It never occurred to me that this could happen in our neighborhood, but in reality, this sort of thing can happen in any neighborhood. Ever since then, I have been meaning to take home security more seriously. But, honestly, this has merely translated into me making sure my garage door is closed and all our entrances are locked before bed every night. In the back of my mind, I know there is a lot more that I can be doing. 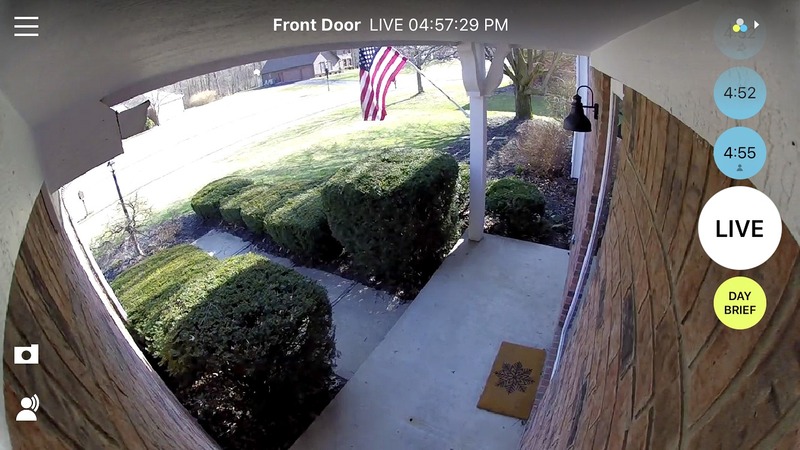 The most obvious first step would be for me to get a security camera outside of our house, but I just hadn’t taken the time to research and learn much about them. 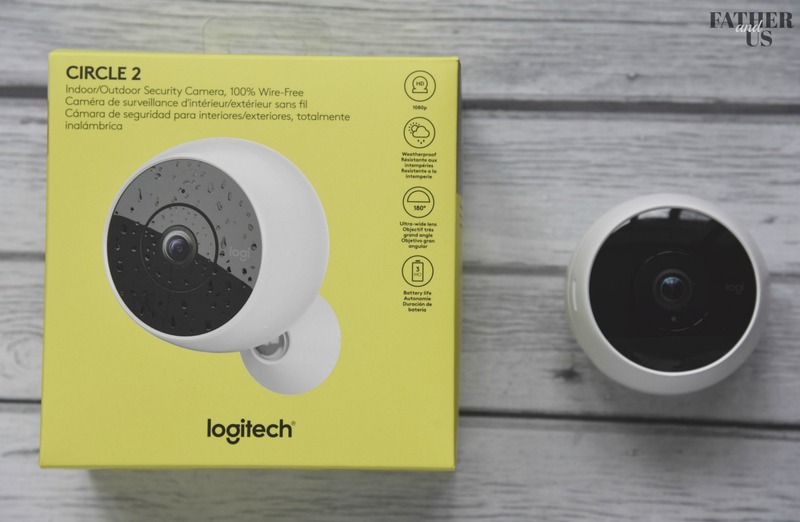 Luckily, I was contacted by Logitech to try out their Circle 2 Security Camera. The Circle 2 gives you two different camera options, wired or 100% wireless. Both options can be used indoors or outdoors so you can put the camera wherever you need it. I decided to try out the wireless camera to put outside on my front porch. The main thing I was curious about was how the Wire-Free camera would stay powered. It honestly didn’t even occur to me that there were wireless options for these cameras. I was concerned that I’d have wires running around my front porch, so I was excited about the wireless option, but skeptical about how it would work. I was really amazed to see that one charge of the camera battery will last up to three months, so that means that I should only need to take it down and charge it up about 4 times a year. The way it is able to keep its battery life so long is by going into “low power mode” when no activity is detected. More on this later. Installing the mount was also extremely simple. You only need to screw in two (included) screws to attach the mounting bracket to your wall. Once the mounting bracket is on the wall, you can attach the camera to it by simply snapping it on. The camera itself is attached to a ball joint that lets you rotate it around to almost any angle you need. You can also rotate the lens around 360 degrees. The camera looks to be incredibly durable and is described by Logitech as being weatherproof. It looks modern, sleek, and classy up on my front porch. 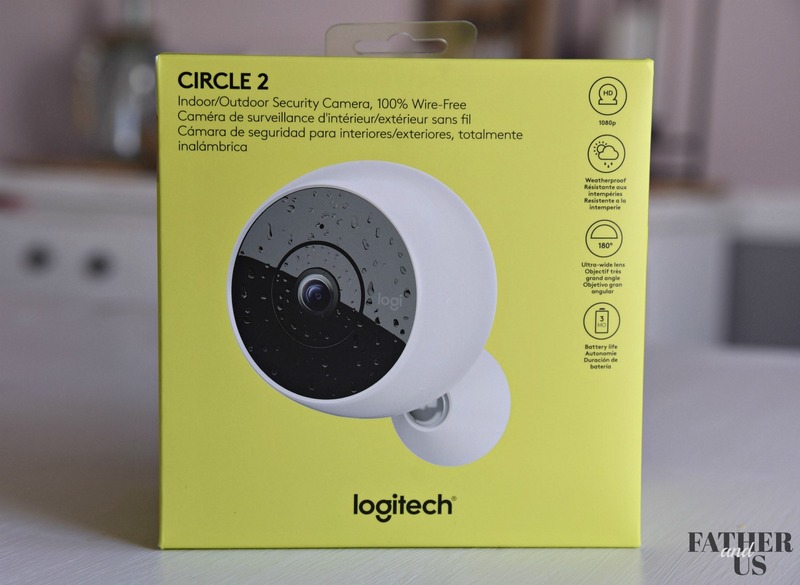 The main interface of the Logitech Circle 2 Camera is the Logi Circle app. Installing it was pretty easy as well. I just downloaded it and created an account. The app found my camera and paired with it. Not including the time it took to charge the camera, it took about 10 minutes of actual work from unpackaging to having it ready to go on my porch. I literally just charged it, downloaded the app, put it on the wall, and just let the camera do the rest. Now my camera was ready to go for the next 3 months until I had to charge the battery again. As I explored the app, I discovered some other cool features about the camera. The layout of the app is very simple and intuitive. Most of the screen shows the live feed of your camera. There are buttons oriented vertically on the right side, some being timestamps where the camera recorded activity. You can just press on the specific button with a specific time and see what was recorded. There is also a “live” button that brings you back to the live feed. But the function that I liked the most was the “day brief” button. Just press this and you can see a rundown of any activity that your camera has recorded that day. You can share this “day brief” with whoever you want via messaging, email, Dropbox, Facebook, and more. You can also take a screenshot of any moment and each camera also has 24 hours of free and secure encrypted cloud storage. There are also two additional Circle Safe™ plans available if you need more storage. On the top left of the feed you can access menu screen. This is where you can manage your account, name your camera, and add more cameras. From this screen, you can also see how much battery is left on your camera, so you will know exactly when you will need to recharge it. You can also set it to send you notifications when your battery is running low. With 1080p HD streaming, the picture was remarkably clear on my screen. The camera also boasts night vision and a 180 degree wide-angle lens. At about 5am this morning, a car drove by. It was still dark outside, but the camera recorded it and the picture was so good that I was able to tell what kind of car it was. Pretty impressive. 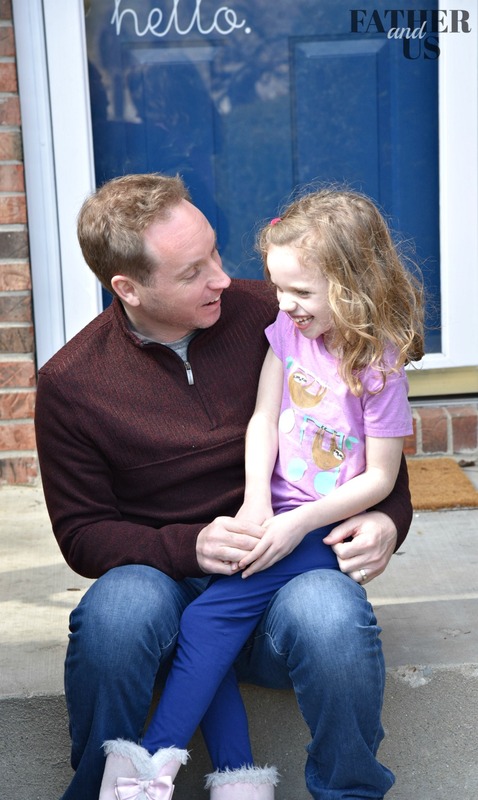 My 6-year-old daughter’s favorite function was the two-way talk and listen. With this feature, I can converse with whoever is out on my front porch no matter where I am. My daughter thinks this was the coolest thing in the world! After using this camera for the past couple of days, there are a couple of important things to note. The first is that the camera is able to keep its battery charge for 3 months by going to “low power mode” when no activity is detected. From the app, you can wake it up to see the “live” view. This all makes sense. But, on my phone, it takes about 25 seconds to wake up the camera to see the live view. So, if someone is knocking on my door and I want to see who it is, it will take me 25 seconds to get to the live feed. This is a little longer than I would like. Also, the instructions mention how important it is to be close to a strong WiFi signal. This is completely true. We’ve recently changed our internet provider and have been having a bit of trouble with our new WiFi signal. We have had a couple of our devices continually lose connectivity. The same has happened with the Logitech Circle 2. I measured and our camera is mounted about 40 feet from our WiFi router. This doesn’t seem too far to me, but we’ve lost the signal a couple of times. When this happens, I have to take it off the mount, plug it in, and set it up again. We are going to be speaking with our internet provider to figure out a way to boost our WiFi signal. The bottom line: I really think the Logitech Circle 2 is a super neat camera. 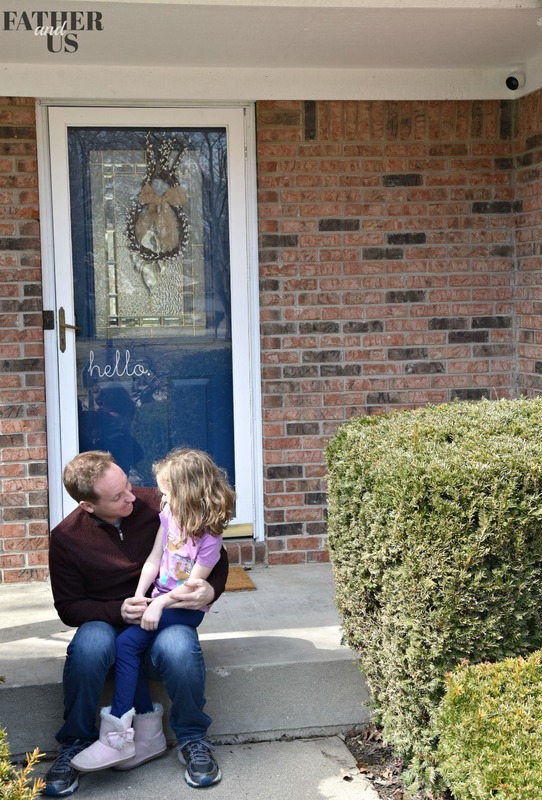 It looks great on our front porch and I can see how it will be used in several different ways to make our family more safe and secure. I highly recommend checking this out as an option to up your game on home security! And, now I get to have endless conversations with my daughter on the front porch!